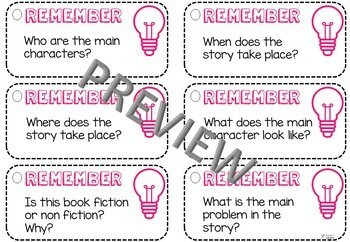 These task cards can be used during independent reading, guided reading or literature circles to help prompt students to answer higher order thinking questions. 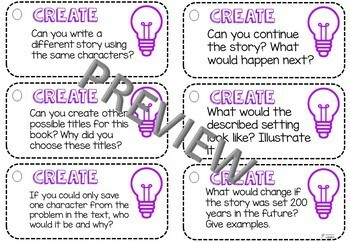 These cards can either be printed and cut out, or hole punched and put on a ring. 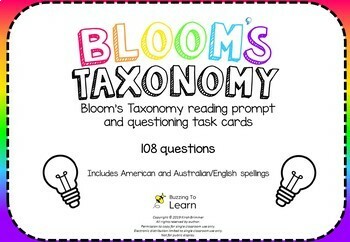 I hope these task cards engage your students! 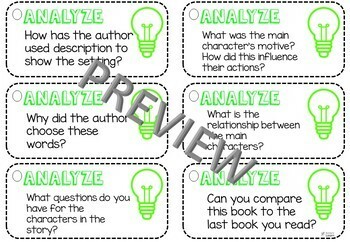 They will provide higher order thinking and questioning opportunities with your students.